The initiator of the project is the association JYA MUBANDI MWANA, with administrative seat in Nyacyonga, JABANA section, Gasabo district , Kigali. This non-profit association, without any political or religious bond, was founded in 2002 with the aim to improve the socio-economic conditions of persons with disabilities. The Association JYA MUBANDI MWANA has legal personality and is registered with the local authority for the exercise of its activities. The corn cereal is very productive in Rwanda. It is a staple food, very storable and rich in sugar proteins, lipids, vitamins and predominant mineral salts. Despite this importance and nutritional content, this product is frequently consumed raw or cooked, that fact that the production of corn is not valued and its added value is almost insignificant. 1 Kg of corn cost 300 FrRw while 1 kg of flour of corn cost 400 indeed. It is to clarify that 1 kg of corn (residue after processing) cost 100 FrRw , and is effective in the diet of cattle especially in poultry as well as in dairy cattle. 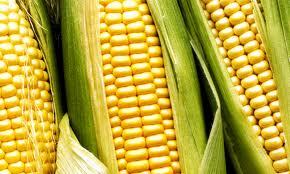 In the human diet corn flour is mainly used in the preparation of dough and porridge which are very energy rich . With the aim to ensure the basic nutrition of the children in the centre of Nyocyangoga, JYA MUBANDI MWANA wants to start up this project. The project consists of the acquisition and treatment of corn grains in the centre. So will the produced corn flour partly be used as food for the children in the centre and partly for sale to insure its own financing. The direct target group of the project are the children of the Centre Nyacyonga, JYA MU BANDI MWANA, with a total of 60 children (38 girls and 22 boys). 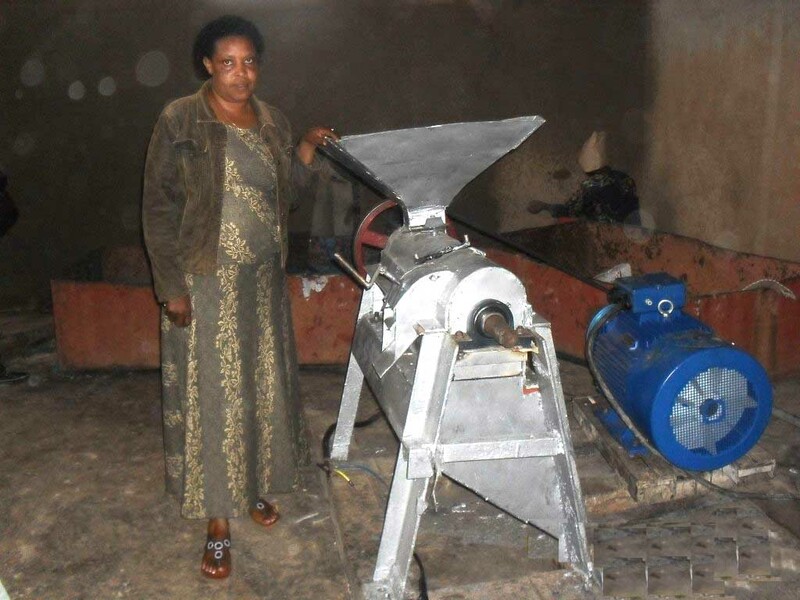 The project in question, to be financed for approximately 7,000,000 RwFr, was implanted in the neighborhood of the center 'Jya Mubandi Mwana' in order to give the young people, who are in a disabled situation, a chance to learn a profession and just as much to contribute to the quality of their food. The project has been started in the beginning of the year. Xaverine with the mil on the picture.